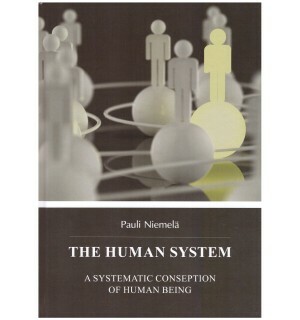 In this book emeritus professor Pauli Niemelä creates a systematic analysis of human being. As an idea is that human being is a multidimensional being, whom structure consists of three subsystems. Together they are formed whole system, human being. Each subsystem has three dimensions and three levels, so the whole system´s structure consists of 33 different elements. At the same time, human being has an action subsystem, which uses those structural subsystems (see motto). Action subsystem consists of nine (9) different elements of action. So this kind of human conception consists of 36 elements, together. The book has two agendas: first to propound a systematic analysis of human being´s structure and action, second to establish a generalized model of analysis for highly evolved and self-organized beings. The book is suitable for all those who are working with human being and those who are interested in human being as such. Size and extend: B5, (sid. ), 133 s.